Second Nature: Isiah Medina on "24 Frames"
The Drunk: You are the most maddening lady creature I've ever been able to come in contact with. Let me take you out of all this. 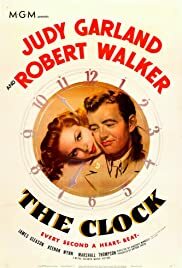 Two tragic, wonderful performers, Robert Walker and Judy Garland, star as a soldier and the girl he meets in "The Clock," a wartime love story also starring James Gleason, Lucille Gleason, Ruth Brady, Marshall Thompson, and Keenan Wynn. Joe (Walker), on leave before he ships out, is in the big city when he meets Alice (Garland) as the heel falls off of her shoe on an escalator. His charm and enthusiasm soon overcome her, and before she knows it, she's agreed to spend time with him. They embark on an adventure which takes them to the museum and Central Park, where they meet milkman Gleason and end up delivering his products when he is accidentally knocked in the face by a drunk (Keenan Wynn) in a coffee shop. When day dawns, Alice and Joe come to a realization. This is a frenetic, high-energy movie, beautifully orchestrated by Vincente Minnelli, who manages to keep the tender love story in focus as the couple dashes around New York, losing one another, finding one another, doing a milk run, the pace picking up and becoming even more frantic as they race against the clock towards the end of the film. Then it all stops, and there is calmness and silence as "The Clock" draws to a close. The clock is a symbol of the limited time they have together, and a symbol of their meeting place - under the clock at the Astor Hotel - and where they find one another after one makes it on the subway and the other doesn't. It's a haunting symbol as Minnelli vividly paints a New York atmosphere with its crowds and bustling with the underpinning of World War II. And imagine - you could go into Central Park at night in the '40s and come out alive. Judy Garland, in the same studio as Lana Turner, Ava Gardner, and many other beauties, probably never appreciated what made her beautiful. In "The Clock," "The Pirate," and "Meet Me in St. Louis," she is at her loveliest, slender and luminous with enormous eyes and a sweet, girlish, vulnerable quality. Walker, who would be bloated and dead six years after this film's release, was doubtless still reeling from problems in his private life when he made this film, but he is handsome, deft with a line, and brimming with youth. He and Garland make a wonderful couple. 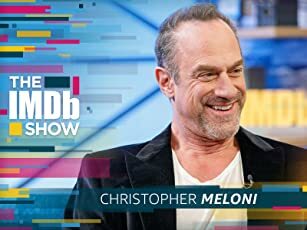 It's sad to think about what happened to these actors, but one is confident about the characters in "The Clock." Released in 1945, the war would soon be over, and Garland's ending monologue (originally to be said by Walker) rings true. "Whoever is making the arrangements is doing pretty well by us," she says. Too bad it wasn't the same for them in real life.